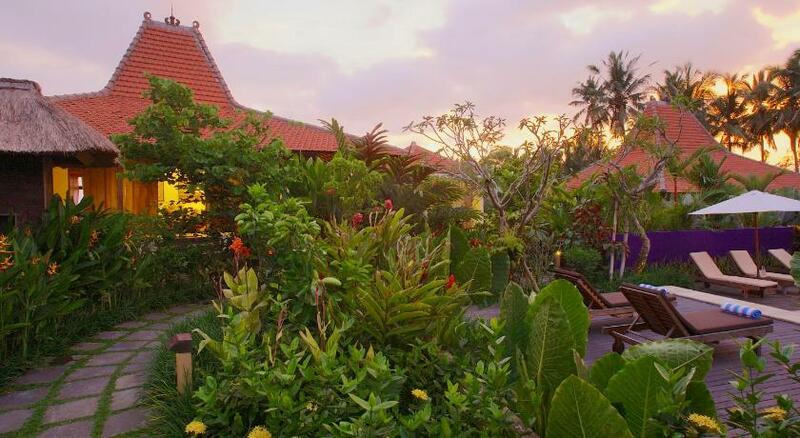 Indonesia Ubud hotels. - Hotel videos, user reviews, cheap booking! Showing 1 - 10 of 527 best hotels. | Sorted by rating. The Chedi Club provides a relaxing getaway surrounded by rice fields. 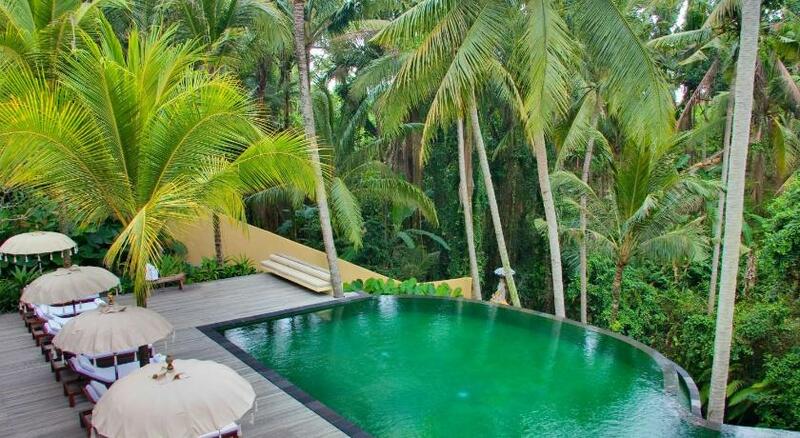 Located 2 miles from central Ubud, it features a 92-foot (28-meter) outdoor pool and free scheduled yoga classes. Located 5 minutes’ drive from central Ubud, Villa Metimpal boasts a private outdoor pool and provides free Wi-Fi access throughout the villa. Villa Sabandari is nestled within green stretches of rice fields, a 10-minute drive from Ubud Palace. It boasts a spa and an infinity pool with a sun terrace. A 10-minute drive from Ubud Art Market, Tri Sandhya Villa is situated in a the spiritual village of Kedewatan in the north of Ubud, surrounded by tropical forests and the tranquil Ayung River. Komaneka at Monkey Forest features Balinese-styled rooms with a private terrace offering views of rice fields or landscaped grounds. The resort provides an outdoor pool, a spa and free Wi-Fi. Samaya Ubud is a 15 minute drive from central Ubud and offers villas surrounded by rice fields and hillsides. Each villa comes with a private pool and 24-hour butler services. A 5-minute drive from central Ubud, Made Arsa Homestay offers simple accommodation with a shared kitchen and seating area. Free Wi-Fi is accessible in all areas.